OBAMA regime’s CIA, led by John Brennan, is gunning to endanger the U.S. by tying the hands of its field agents, as revealed within a recent commentary. Indeed, many fronts/routes have been utilized to bore within and bring down America. This is beyond dispute. IN tandem, as is said, there is more than one way to skin a cat. In this regard, while foreign-wise there are many ways for America’s traitors to expose the nation to grave peril, the fact is that the purposeful flooding of America with illegals – many of whom are physically ill with communicable diseases, while others are violent gang members – is a fail safe method. Rest assured, many actors are involved in the overthrow, including CIA’s head honchos. YET if this site’s evaluation is not good enough for doubting Thomases, no matter. No offense taken. But do take the time to review the “shocking” (not to those who understand the score) report/video housed at Red Flag News….and this is no commie/red site! Yes, do recognize that this site fully backs up Red Flag’s conclusions and its main thesis. THAT being said, we must back track a bit and review some previous commentaries, involving FEMA and the parts they play in the upending of America. Yup, you read that right. A while back, in March 2013, a (rhetorical) question was posed to this site’s readers: CDC & FEMA, what are they up to? Due to the facts at hand, the following revelations (confirmed by various outside contacts) should be seen as another layer of preparation, not if, but when massive amounts of citizens will have to be subdued. And if you prefer to close your eyes, go right head. Don’t say you weren’t warned…..”Obama’s CDC Has Stackable Coffins Ready…” video embedded…. “FEMA clearly is fast becoming the Obama administration’s secret in-country military operations that is scaring citizens out of their wits. A video narrated by Dale Bohannan has popped up online with photos of what first appear to be porta-potties. But on closer inspection, the black plastic containers are what the narrator reveals to be as many as 125,000 outsized casket liners that are in no way there to service the needs of live American citizens!…..
HMM…and wouldn’t you know, back in Sept. 2013, Russian and other foreign troops have been documented, training, inside America. To what end? Russians Train To Disarm US Citizens On US Soil! YES, FEMA’s detention camps are involved too. AGREED, to average ears it would seem that FEMA, America’s Federal Emergency Management Agency, is all about safety and welfare. Not so fast. Now, exactly when it got co-opted – into eschewing its original mandate – is up for debate. But that hardly matters at this critical national juncture. What does matter is what they have in store moving forward…march. By now most of you are aware of the infamous group formed by FEMA and DHS who recruited 28,000 pastors to be part of the Clergy Response Team—a team of pastors who duty it will be in the event of any beck and call from the Government to round up citizens—be it for a catastrophe, an outbreak, or whatever them deem necessary. These pastors have sold not only their congregations out but also left God at the doorstep by doing so. Recently Pastor Walt Mansfield, one of the first to be recruited by FEMA, boldly shares with Dave Hodges The Common Sense Show, all the devious workings the government is attempting to do through this organization. Everything from rounding up dissidents, to promoting servitude to the government, to forcing people into camps is involved. In the video below I dive through all this and more but be aware you may not like what you’re about to hear… go to the 3:14 mark and pay heed…listen to the whole thing…it may save your life, and that of your loved ones. Listen to Pastor Mansfield, the upright man who blew the whistle! AS documented on a multiplicity of occasions, Obama Inc.’s DHS is in definite league with targeting patriots, but leaving anti-Americans intact, including terrorists. Yes, this too seems other worldy, as if you have been dropped inside Alice-in-Wonderland’s looking glass. Understood. But let’s look at the facts. DHS, sans a scintilla of a fact, is a clear and present danger to patriots. How so? DHS is up to their eyeballs in criminal cover ups, and this is the case whether Jeh Johnson is at the helm or his “feminine” predecessor, “Mama Janet”. MORE specifically, how safe would Americans feel, if they knew that the litmus test for military commanders (to keep their jobs) entailed: are you willing, or not, to shoot fellow Americans on U.S. soil who refuse to give up their legal guns? Huh? SO in synchronicity with the lies of an anti-American leadership, Jeh Johnson is aligning with his boss’s directives to “transform” America. Thus, hiding terrorists makes perfect ideological sense, and this is precisely what is transpiring. MORE specifically, in relation to the topic of FEMA and captured Pastors, many readers are already familiar with the Jewish background of this investigative journalist, hence, references are (sometimes) made to the Old Testament. At the same time, it is recognized that many millions in America (and elsewhere) use the New Testament as their path. So it is more than appropriate to cite the following, as back up for what is certainly planned to go down, whenever the time is ripe. But before you lose hope in America’s clergy, there are those who can’t be bought, or fooled, as demonstrated within this revealing video! Yes, Pastors who know that Barack HUSSEIN Obama is a Muslim and that is that. Many of us have been quick to point that this bastardization of the Romans 13 is designed to force compliance to government edicts who might not otherwise comply. Certainly all governments are not established by God. Were the governments of Stalin, Hitler, Pol Pot, all ordained by God? What about George the III? Most people in the independent media think that this is the extent of the threat posed by the existence of the Clergy Response Teams. I have discovered that the Clergy Response Teams are taking on much more nefarious duties and it can be accurately stated that the pastors associated with the DHS/FEMA/Clergy Response Teams are going to be doing a whole lot more than encouraging their flock to obey the government. On December 9, 2014, I conducted a telephonic interview with Pastor Walt Mansfield. Pastor Mansfield was among the first of the pastors recruited to become a part of the Clergy Response Team. The revelations he conveyed to me about this program had pastors doing a whole lot more than preaching Romans 13. But before going to the disturbing contents of the interview, let’s take a look at relevant legislation which helps to legitimize Pastor Mansfield’s outrageous claims. On December 31, 2011, President Obama signed the National Defense Authorization Act (NDAA) into law which in addition to allocating $662 billion to the Pentagon also contains a measure which allows U.S. citizens to be taken into custody and held indefinitely without ever being charged with a crime. Not only can any citizen deemed a threat to “national security interests of the United States,” be held forever without receiving a trial, but the military will be the ones arresting those citizens. The National Emergency Centers Act or HR 645 mandates the establishment of “national emergency centers” to be located on military installations for the purpose of to providing “temporary housing, medical, and humanitarian assistance to individuals and families dislocated due to an emergency or major disaster,” according to the bill. The bill also provides that the camps can be used to “meet other appropriate needs”, as determined by the Secretary of Homeland Security. This a carte blanche mandate that many fear could mean the forced detention of American citizens in the event of widespread rioting following a national emergency or a total economic collapse. Pastor Mansfield was recruited to become a member of the Clergy Response Team which would operate under the control of NOVAD and DHS. Mansfield’s revelations about his experiences are stunning and concerning at the same time. Pastor Mansfield attended several briefings and he could barely believe his ears. He learned of the government’s plan to enact martial law as well as to implement forced population relocations. Mansfield emphasized that when martial law is enacted, the enforcement would be immediate. In other words, family members will be separated from each other and part of the training that the clergy received was how to comfort separated family members. Pastor Mansfield emphasized that the FEMA/DHS drills were predicated on bioterrorism. The pastors were trained to go to homes were people refused to be relocated by the authorities and their immediate job was to convince the reluctant to willingly go to the relocation camps. Ostensibly, this was to be done in lieu of sending in the SWAT teams. I asked Mansfield if FEMA camps were real and he stated that much of the clergy training focused around this scenario of pastors operating within the forced relocation centers. The main goal of a pastor assigned to a FEMA was to bring order and encourage compliance with DHS requests, hence, the emphasis on Romans 13. In other words, all legitimate pastoral authority was abrogated by the pastors who participated in the roundup of American citizens. Pastor Mansfield also revealed that pastors will be issued badges under the Clergy Response Team program. Any pastor not displaying the badge, indicating that they have been trained under these guidelines, will not be permitted into the established and designated “DHS safety zones”. This reminds me of the banishment of religious figures from Plymouth Colony who, in good conscience, refused to go along with some of the extremism of that day. Along these lines, the Clergy Response Team is also a “Kool-Aid drinking program”. Pastors are absolutely forbidden to publicly to speak about any aspect of the program. If you were to ask your pastor if they are a FEMA trained pastor, they will not likely tell you. Disturbingly, Pastor Mansfield reiterated several times that the number one job of these pastors is to calm down people and encourage their compliance within the people’s new surroundings. Pastor Mansfield also stated that pastors will be utilized as informants. This violates the legal privilege of confidentiality between pastor and church-goer, that is currently recognized by law. All church-goers can no longer trust the sanctity of personal confessions and revelations made to pastors, priests or rabbis’. This one illegal act by DHS completely undermines the Christian Church in America! What pastor could, in good conscience, participate in this heinous program? Mansfield told me that there are an estimated 28,000 FEMA trained pastors. The pastors in America are being coerced to participate because when an emergency is declared, no pastor, who does not have the “FEMA-trained government badge” will be allowed to be in a declared “emergency” area. Pastor Mansfield felt strongly this was the government’s way of removing Jesus from America’s landscape and set the stage for the ushering in of a new-age religion. 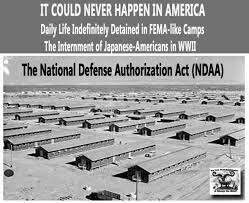 It is mindboggling to fathom how so many reporters and media types deny the existence of FEMA camps under these circumstances. It is also disturbing that any pastor would agree to participate in a program in which Jesus and the Bible end up on the cutting room floor. “We should have resisted the KGB at the front door. If the KGB thought that they might not go home that night, the Russian people might have had a different fate”. IN light of the above, many rightfully posit: how can it be that Barack HUSSEIN Obama is giving cover to both Islamists, as well as Marxists, communists, socialists, who want nothing more than to purge religion from America, thus breaking its foundation and roots? Yes, while seemingly divergent in their ultimate goals, one must internalize where their symbiosis lies; the complete destruction of America. And in the worldview of committed anti-Americans, the ends, whatever they are, justify the means. Their alliance. This is precisely why reds and greens lock arms throughout the west and beyond. THUS, if readers want a “take away” from this blog, look no further than the last sentence at the “About” tab. Seek, and you shall find…. 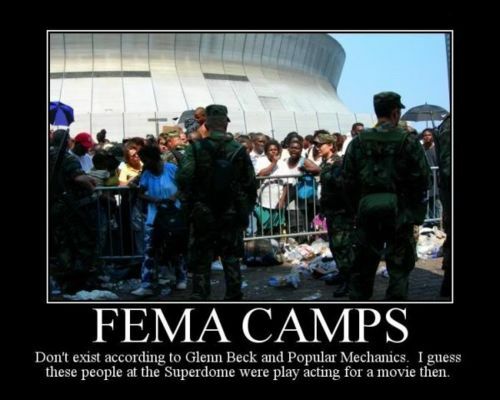 This entry was posted in Uncategorized and tagged 28000 pastors were recruited by FEMA/DHS, bring down America, CDC & FEMA:what are they up to?, DHS targeting patriots, FEMA, flooding of America with illegals, http://joeforamerica.com/2014/12/fema-dhs-buys-off-clergy-response-team/, http://www.thelibertyeagle.com/fema-dhs-buys-off-clergy-response-team/, OBAMA regime, Red Flag News, reds and greens, revealing video:FEMA & Pastors, Russian (and other foreign troops) training inside America by Adina Kutnicki. Bookmark the permalink. Reblogged this on Insurgency 4 Liberty. Your quote from Solzhenitsyn about the KGB made me think about an article I read recently by Lt. Gen. Ion Pacepa, the highest ranking Soviet bloc intel officer to ever defect in the National Review Online. Mr. Pacepa says that “In 1972, the Kremlin decided to turn the whole Islamic world against Israel and the U.S. As KGB chairman Yury Andropov told me, a billion adversaries could inflict far greater damage on America than could a few millions. We needed to instill a Nazi-style hatred for Jews throughout the Islamic world, and to turn this weapon of the emotions into a terrorist bloodbath against Israel and its main supporter, the United States”. He goes on to talk about the KGB showering the Islamic world with an Arabic translation of the “Protocols of the Elders of Zion, a tsarist Russian forgery that had been used by Hitler as the foundation for his anti-Semitic philosophy. It seems to me that President Obama and the CIA are beginning to act like Andropov and the KGB by spreading disinformation as a means to accomplish their objective. Unfortunately, they both appear to have the same objective, destruction of Israel. Pingback: Israel's Voice | DHS/Pentagon’s JADE HELM Exercises: China’s (Russia’s) Intersection & TARGETED Lists. What’s Going Down? Pingback: Israel's Voice | JADE HELM 15 and Walmart’s “Retrofitting”: FEMA’S/DHS/UN Commandeering. What’s The End Game?